Beta Barium Borate (BBO) crystal is a Nonlinear Optical Crystal with a combination of unique features: wide transparency region, broad phase-matching range, large nonlinear coefficient, high damage threshold, wide thermal acceptance bandwidth and high optical homogeneity. 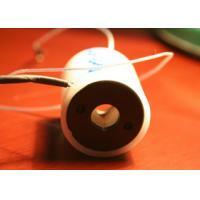 High power BBO Pockels Cells from Crystro is usually used in the area of high power q switched Pulsed Laser. Crystro can provide many different kinds of Pockels Cell. 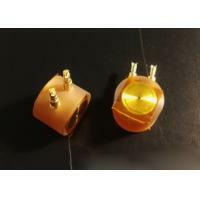 These EO Q-Switches have different characteristics and very good quality. These Pockels cell have different functions to meet different needs of customers in various fields. We have abundant stock and preferential price. Welcome to purchase.All the High Power BBO EO Q Switch are quality guaranteed. We are China Origin Factory of BBO Pockels Cell for High Power. If you have any question, please feel free to contact us.